Today was just the perfect Sunday. I woke up early, did a little reading, and then took the Brompton to S.’s for a ride over to Patterson Park where we met friends for a walk. There were dogs, guys practicing football, loud noises coming from the ice rink, a trip down the slide, swinging, a round of knee-slap (S. invented this excellent game–ask her for a demo next time you see her), and then we found a basketball and discovered that C. is a good shot and S. can get significant air. I switched Brompty from one car to another for a ride to brunch, and then I unfolded it and rode away–what a great bike. I rode down the hill on Harford Road and took a quick right into Herring Run Park. I’ve passed this park a bunch of times, and if I lived in this neighborhood I’d surely come down here all the time, but for me it was a total surprise to find this 2.5 mile loop trail along a stream. It was crispy cold, the sun was shining, and for 15 minutes it felt like I was out in the country. After the loop I headed toward Lake Montebello for a few laps and some fantasizing about future training rides because, you know, I’m an athlete. And then it was home on relatively empty streets under late afternoon sunshine, lucky me. 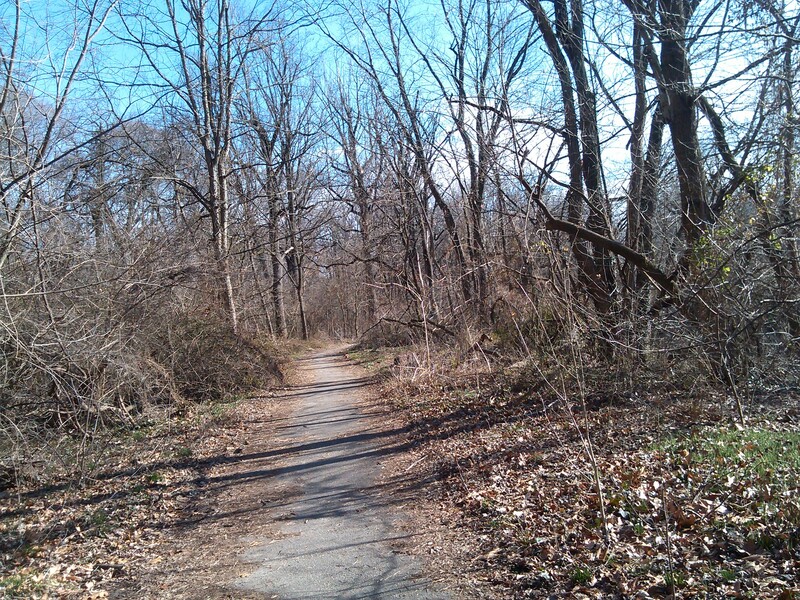 This entry was posted in nature, parks, personal and tagged Baltimore, Herring Run Park, Lake Montebello. Bookmark the permalink. You were near my house!